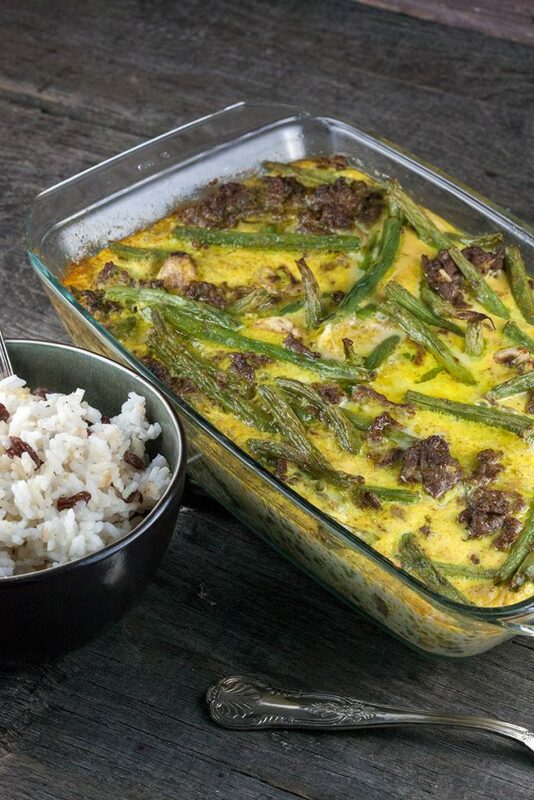 Put a delicious bobotie oven dish on the dinner table tonight. Made from scratch, but it's really easy. Ready in 50 minutes, recipe for 4 people. CLEAN the green beans by removing both ends and set them aside. FILL a medium-sized pan with water and salt and bring to a boil. COOK the rice according to the package, cause every rice type is different. PEEL the garlic cloves and finely chop them. Use a whisk to MIX 4 eggs together with the milk. 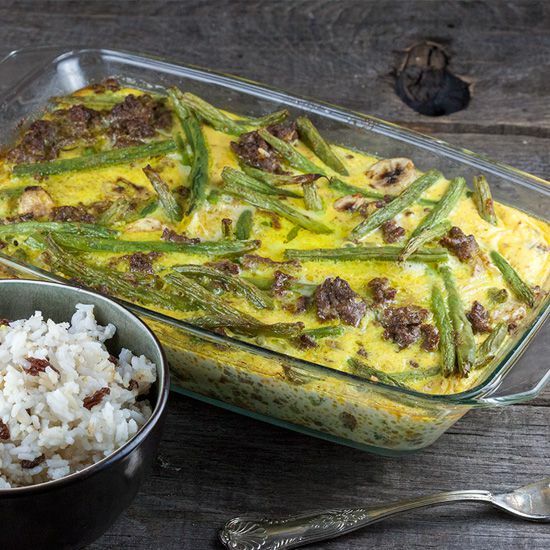 FILL a small pan with water and cook the green beans for a few minutes. HEAT oil in a large skillet and saute the garlic for a minute. ADD the ground beef and cook a few minutes more. ADD the curry powder, ground coriander, ginger and cinnamon. 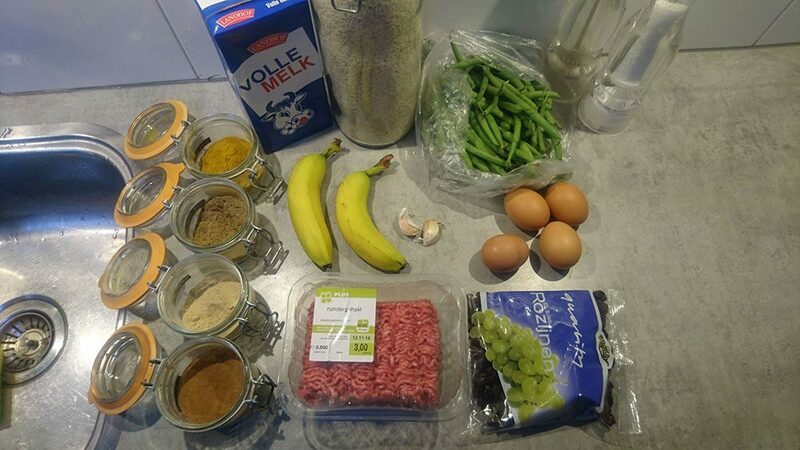 DRAIN the green beans and also add them along with the bananas into slices to the ground beef. COMBINE well and season with pepper and salt. ADD the beef and beans mixture to the oven dish. POUR in the egg and milk mixture and bake in the oven for at least 30 minutes, or until firm. 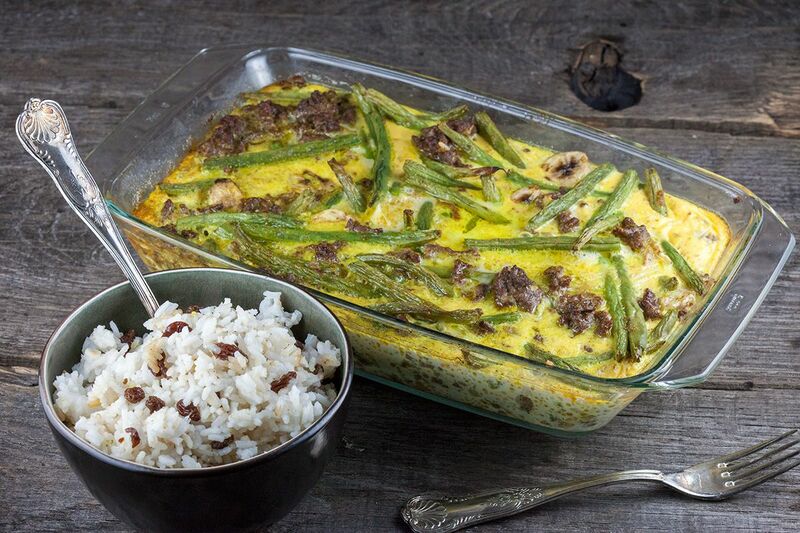 DRAIN the rice and stir in the raisins, serve the rice with the bobotie and enjoy!